The foreign exchange market is the largest capital market in the world. As one might expect with any volatile market, the potential for great returns comes along with the risk of suffering devastating losses if appropriate money management techniques are not diligently applied. Trading in the forex market can be an especially challenging endeavor for an individual without access to and the support of a competent online forex broker. Therefore, it is imperative that a person serious about opening a forex trading account carefully evaluates and selects a suitable fx broker in order to maximize their trading results over the long term. The prudent forex trader has a number of different issues to consider before starting to trade in a funded account with an online forex broker. Some of these issues consist of the trader’s personal goals, their trading plan or strategy, and the amount and flexibility of trading capital. Once those key issues have been addressed, the first and foremost consideration for a currency trader involves selecting a suitable forex broker to partner with in meeting their trading goals. The following sections of this article will discuss five of the top considerations a trader should take into account when selecting a forex broker. Of course, a primary consideration will always remain the safety and ease of access of the trader’s funds. A number of forex brokers have turned out to be scammers or have gone out of business taking a good chunk of their clients’ money with them. This makes it vitally important to carefully screen any online forex broker being considered to open a funded account with. For this reason, our first consideration for a forex broker includes regulatory compliance. A well-capitalized and reputable company is generally what one would look for when performing any forex broker comparison, and typically a trader would look for a broker that is regulated by an official agency with high standards. Forex broker regulation exists in most developed countries, but standards can vary considerably under different regulatory regimes. This explains why many reputable forex brokers are often registered and licensed with more than one regulating agency. This should give a trader greater confidence when entrusting a broker with their trading capital. Furthermore, virtually all of the legitimate top forex brokers will typically list what regulators they are licensed with and their registration numbers on their website, which can in turn be verified by checking on the regulators’ websites. Due to the stringent broker regulations in the United States, forex brokers based outside the United States who wish to have U.S. based clients must comply with stricter rules and higher capital requirements. The two organizations which oversee forex trading in the United States are the National Futures Association or NFA and the Commodities Futures Trading Commission or CFTC. 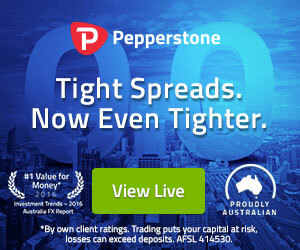 U.S. capital requirements for forex brokers doing business with U.S. residents were increased to $20 million after the 2008 global financial crisis, which led many global forex brokers to close down their operations in the United States and refuse to deal with U.S. based clients completely. Furthermore, regulated forex brokers operating in the United States are not allowed to offer more than 50:1 leverage on all major currency pairs and 20:1 leverage on minor currency pairs. In addition, forex brokers operating stateside cannot accept deposits through credit cards. Other restrictions on U.S. forex brokers is that they are barred from trading in other popular trading derivatives, such as contracts for difference or CFDs, which many European based forex brokers can offer. U.S. based customers can only trade in exchange traded derivatives in their accounts. Forex regulation in countries within the European Union was established in 2004, with brokers licensed in one country having the ability to service customers in other EU countries without getting additional licensing. Nevertheless, each country still retains their financial regulating authority, such as the Financial Conduct Authority in the UK. Because forex brokers tend to gravitate toward countries with less stringent regulations, many have established their companies in Cyprus. The Cyprus Securities and Exchange Commission or CySEC, as it is commonly known, is the applicable regulating authority for that country. CySEC has lower overall compliance costs and lighter regulations for forex brokers, which allows brokers based there to offer their clients more competitive spreads. Once the regulatory and financial stability of a particular forex broker has met your standards, the ease of accessibility of your funds should be verified, as well as the level of customer support especially when it comes to funding and withdrawal transactions. Poor customer support and the inability to fund your account or withdraw your funds in a timely manner could cost you dearly. Our second consideration for a forex brokerage is data security. A large amount of personal and financial information must be submitted just to open a typical forex trading account, including copies of a passport or other identification, a bank account number and possibly a utility bill to prove a person’s place of residence. If a forex broker’s Internet security is weak, the hacking of your account could not only impede your trading and result in the loss of funds, but the theft of your personal information could subject you to identity theft. Therefore, a thorough review of a broker’s data and Internet security measures is imperative when you compare forex brokers. Internet security is often overlooked when opening an account with the largest forex brokers. Nevertheless, in October of 2015, FXCM was the target of an electronic attack that allowed the hackers to make unauthorized withdrawals from some of FXCM’s customer accounts, while e-Toro had to be taken offline in 2014 due to a malicious DDOS attack. You will also want to make sure that your potential broker has a reputable Internet security firm and uses high level encryption, such as Secure Sockets Layer or SSL, to avoid having your personal and financial information fall into the wrong hands. Another security feature some brokers use is two factor authentication, which requires a username, a password and a random generated security code for entry. Dealing Desk – a forex broker operating a dealing desk or DD is a market maker. 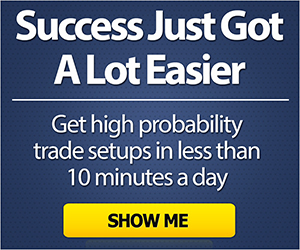 This means that the dealer will typically offer a two sided market with fixed dealing spreads. The dealer can make his quote above or below the prevailing market depending on their market preference and positioning. The market maker of a dealing desk operation is always taking the other side of a customer’s trades and will generally offset their risk with larger liquidity providers. The market maker typically makes their money through the bid/offer dealing spread they quote. No Dealing Desk – a no dealing desk or NDD forex broker provides their clients with direct access to the Interbank market. The NDD can use Straight Through Processing or STP, or they can let their clients access the forex market through an electronic communications network or ECN. When dealing with a genuine NDD broker, no re-quoting of prices should take place, and this allows the trader to be active during the high market volatility often surrounding economic data releases without restrictions. Market spreads seen using NDD brokers are generally tighter than those provided by a DD broker; however, they are not fixed and can fluctuate considerably in times of higher market volatility. NDD brokers can either make their commission through the market spread or they may charge a per trade commission. Electronic Communication Network or ECN – ECN forex brokers provide and display real time order book information, with quotes directly from the Interbank market. ECN brokers typically charge a commission on the traded volume and trades are directly processed in No Dealing Desk mode on the interbank market. Straight Through Processing or STP – STP brokers use a fully computerized system which processes trades directly into the Interbank market without a third party intervening that could introduce errors, costs or delays. Multilateral Trading Facilities or MTF – these forex brokers operate under the same rules as a regulated exchange actually without being one. The MTF bring buyers and sellers together according to non-discretionary rules. The transparent rules of an MTF ensure a fair trading system with greater discretion, faster order execution and lower brokerage rates than traditional exchanges. What type of currency trading broker will best fit your needs depends on your trading strategy and to some degree, the amount of trading capital that you are working with in your account. Market makers take the opposite side of their clients’ positions, which could lead to a conflict of interest and difficulties if the trader’s positions turn out to be highly profitable. In addition, during periods of high volatility, a market maker will typically widen spreads and may offer re-quotes if they cannot offset their risk in time. For larger traders, trading through an ECN or having access to an STP forex broker would tend to make more sense, since the trades go directly to the highly liquid Interbank market, and the trader can avoid having to deal with a market maker or suffer the delays involved in having to deal with re-quotes on their orders. On the other hand, if a trader feels more inclined to use social trading, then an account at an MTF could possibly be better suited to accommodate their different needs. The fourth top consideration on this list is execution cost. Trading costs can impact a trader’s return significantly over the long term, especially if the trader’s strategy calls for frequent trading, as is the case with a scalping strategy, for example. While a low cost brokerage might save a trader money in the long run, more expensive brokerages tend to offer better customer service in most cases, in addition to other helpful services including educational materials, market analysis and trading tools. Most forex brokers will not charge a per trade commission. Instead they usually make their money by offering a wider bid/offer spread than the Interbank market. Of course, the tighter the dealing spread, the cheaper it is for a trader to enter and exit the market. The spread is usually also dependent on the overall volatility and liquidity of the currency pair. Currency pairs with higher trading volumes typically have tighter spreads, and those with higher volatility tend to have wider spreads. The spread can be either “fixed”, which means that the buy and sell rate differ by a set number of pips, or “floating”, which means that the spread can vary according to market conditions. Floating spreads tend to be tighter, except when volatility increases in the market, in which case the spread can widen significantly when liquidity dries up and the market is moving quickly. Some brokers will offer customers a choice; however, most brokers will stick to quoting markets using either floating or fixed spreads. Other brokers might offer their customers tiered accounts, with the dealing spreads narrowing with higher deposits and/or transaction amounts. In addition to the spread or commissions per trade, other costs incurred in trading include fees that brokers charge for wire transfers, withdrawals, deposits, credit cards and inactivity. Some brokers even charge customers for sending them paper statements and closing their accounts. You may have to read the fine print on your prospective broker’s service agreement to find out about these fees and charges. Our fifth main consideration when selecting a forex trading broker is the trading platforms they support. A trading platform is a trader’s interface with the market, so a good trading platform needs to be intuitive and easy to use. It should also execute deals quickly and efficiently enough to allow a trader to react promptly to any market condition. While many forex brokers use their own proprietary software, a good number of them use what has become the online forex trading industry standard: MetaTrader 4 or MT4. This trading platform is extremely flexible in its programmability and ease of customization. The MT4 platform also provides a wide array of charting and back testing tools and allows the trader to execute trades in real time due to its low latency. Another feature of the MT4 platform is that it allows trading to be fully or partially automated by programming or buying a variety of “expert advisors”, which consist of automatic trading programs that can use the trading platform to determine trading opportunities, enter orders and execute transactions. MT4 can be operated on a computer using either Windows or the Macintosh operating system, and MT4 mobile trading apps are also available. One of the newest trends in forex trading is social trading. Social trading platforms allow traders to discuss strategies with other traders and even watch and copy more experienced traders as they trade. eToro is one of the most successful social trading sites, with more than 4.5 million traders in 170 countries. In addition to the previously mentioned platforms, mobile trading platforms have also gained popularity recently. Most forex brokers will offer one or more mobile trading apps for traders to keep an eye on the market on their smartphones. MetaTrader is now available for iOS, Windows phone and Android, and you can sync up your mobile to your desktop version of MetaTrader. The top five forex broker considerations discussed above are by no means the only ones to take into account when choosing a forex broker. Nevertheless, they are the ones which most experienced traders would tend to agree are most important. Other important considerations for a forex account might include: the amount of margin required to trade and hence the available leverage, the lot sizes that can vary from micro lots to full lots, and the payment options for opening an account. In addition, customer service can be extremely important to some traders, especially those who are new to the forex market. Some online forex brokers offering training for novice traders in the form of e-books, videos and webinars. Furthermore, for well-funded accounts, some brokers even offer personal account managers to provide market advice, strategic ideas, and a more personalized execution service.